We laid Jasmine to rest next to our young apple orchard, in view of the stream that marks the boundary of her field. Our hearts are in a million pieces and right now, I don't know when or how we will begin piecing them back together. But this post is not about loss. It is about thankfulness. Deep, honest thankfulness. We had three days to prepare for what today would bring. Three days to say what we wanted to say. Three days to capture pictures and memories. To feed treats and brush mane and tail. To whisper the feelings in our hearts. To hold each other and shed mutual tears. In some ways the waiting was torture but in the most important ways, it was an irreplaceable blessing and I am so very thankful to have had them. I owe a large debt of gratitude to Jasmine for helping to mold these daughters of ours into the awesome young people they are. Jasmine taught our daughters lessons in life that have become embedded into who they are. She taught them to be adventurous- to swim over their heads, to ride bare back, to love whole-souled. She taught Caitlin that if you want something badly enough, with hard work, you can achieve it. (Caitlin got her first job at 14 to buy Jasmine.) She taught the girls a work ethic. (Chores and feeding happen whether or not you feel up to it.) Caitlin grew up and got married. Meaghan inherited the care of Jasmine. Another life touched. More lessons learned. Jasmine has been Caitlin's best friend, Kristen's companion, and Meaghan's diary. And in the end, she taught them that unselfish love sometimes means letting go, even when you want to hold on. Jasmine's presence in our lives was a gift. She helped to ease the girls into a new home and life with Sean. Caitlin worked side by side with Sean to build Jasmine's first stable here on the homestead, a 12x16, single stall affair with a small tack room. They fenced her pasture together, forging a stronger bond as they worked together. To keep Jasmine company, we welcomed our first goats to our homestead- two bucks; Asher and Jedi, gifts for Kristen and Meaghan (because I was afraid of horses and did not think buying another one would be a good idea for us.) 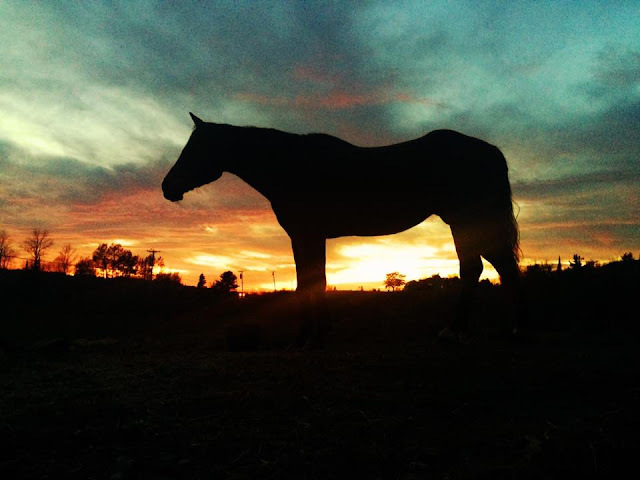 How that horse and her companion goats changed our lives for the better! Ten years in the making, but our homestead has grown to nearly 40 goats; our barn has grown to a two-story, 20' x 30' structure with six stalls. We make feta and herbed chevre and goat's milk soaps. I teach classes to others who want to make soaps. Our Lally Broch Farm products are available in 19 shops across the United States. Jasmine changed our lives. Completely. She helped make us homesteaders. 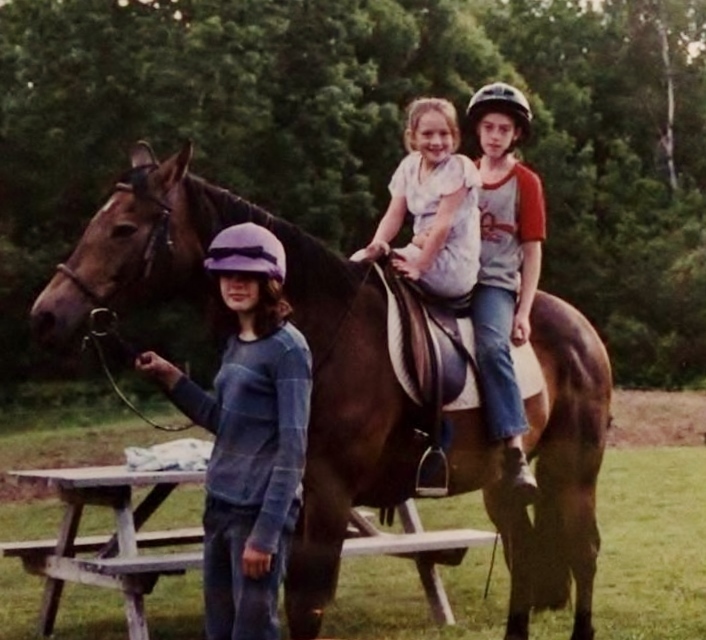 She taught me to overcome my fear of horses. I learned how to feed her and brush her. In the end, I could clean out her hooves all by myself. I learned to rub down her knees and ease her arthritis pain. I learned how to massage her forehead to help her relax and sleep under my hand. Jasmine and I learned to trust one another. I was never one of those "horse-girls" growing up, but in my 40's, I very much became one. I fell in love with Jasmine for her strength and power and beauty and dignity. This has been one of the hardest days for our family to live through. But, it was one full of love, too. And, I am thankful for that. I am thankful for the faith we share and the God who comforts us with his care. I am grateful for the kindness shown by our spiritual family. One brother prepared a place for Jasmine to be laid to rest with his tractor; countless prayers have been offered on our behalf. I am thankful for the many comments of support and kind words from folks we only know through our Lally Broch Farm Facebook page. I am thankful for our neighbor who delivered field stone so we could build Jasmine's cairn. I am thankful for our amazing veterinarian, Dr. Tanja Ebel, (Apple Creek Equine Medicine) who helped us lay Jasmine to rest, quickly and painlessly. I am thankful for Sean. Though grieving himself, he was our rock today. There will be another post that shares how we spent our last days and the considerations of laying her to rest. We will share that aspect not to sadden you, but to help those of you who will face these same decisions. You may decide to honor your companion differently and that will be okay. But, our preparations may help bring you comfort if ever you have to face this day. We are exhausted, physically, mentally, and emotionally. We are going to be closed until Monday to care for one another. Thank you, friends, for sharing our journey.